Whether you are a professional action videographer or someone who’s getting started in shooting a once in a lifetime moment during your next vacation, one piece of accessory alongside your action camera that will effortlessly smoothen and transform your shots is a gimbal. Now you may think a gimbal is pretty costly given it costs roughly about a mid-range action camera ($100+) but the truth is that it’s not, if you see the bigger picture. A gimbal (especially the ones I’ve recommended below) can last a really long time, despite the plethora of moving mechanisms inside it because most of them are built for strenuous and rugged use. 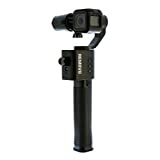 However, on the other hand, there are so many gimbals to choose from that I’m sure most consumers including you will find it difficult to find what that best suits your needs. And the worst part is that if you get the wrong gimbal without doing any researching, not only will your camera be pointing totally in the wrong direction but there might be a chance you might damage your action cam as well. But I’m pretty sure that’s not you since you’re already here so you have nothing to worry about! Anyways, without further ado, let’s go over the best gimbals for your GoPros and other action cameras! Before we continue, let’s go over the 2 main categories of gimbals, though there is a 3rd which are aerial gimbals, used specifically for drones that will be a topic for another day. The main difference between these 2 gimbals is the physical body. Wearable ones are generally lighter and more portable, whereas handheld ones are heavier and bulkier. As a result, wearable ones have more mounting freedom, as it’s harder to mount handheld gimbals onto bicycles or helmets when you have the handle sticking out. A secondary difference I’ve found is that handheld gimbals usually have larger batteries that last longer as there is space to house them. 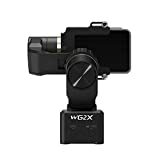 The WG2X is one of the best compact gimbals out there because of its numerous features, most noticeably and newest, the ability to directly connect and remotely control your action camera! For me, the first thing that stood out was the slight arch body shape of the gimbal. 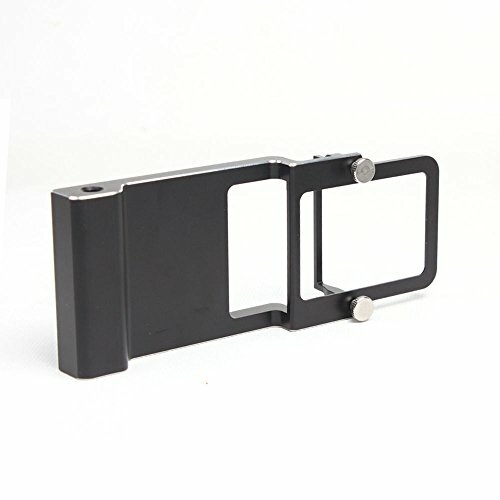 Normally, the arm of a gimbal will block a part of the cam’s screen due to its body design. However, because of this unique arch design of the WG2X, the screen is more visible, meaning you won’t have to squeeze your fingers the next time you want to use your action cam. Furthermore, because the arm is not directly behind the camera, you will be able to rotate wider, before you ‘see’ the gimbal’s arm popping out in your shot. Apart from having a stronger brushless motor which improves the overall stabilization (2000 times/s) meaning your footages are much less shaky, the WG2X’s new feature, rapid shooting, also makes remotely controlling the camera a lot easier. 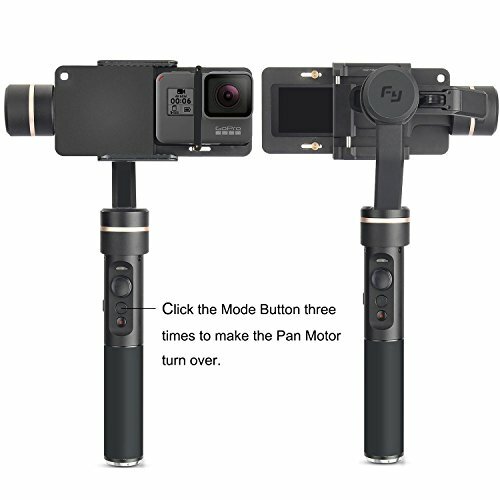 After connecting the gimbal to your action camera via the Feiyu On App, you’ll be able to easily control your camera through the gimbal, eliminating the hassle of manually having to adjust it directly from the camera. This is extremely useful as very often having to directly interact with the camera messes up the gimbal’s orientation. Furthermore, this also gets rid of the shake in the beginning and end of the footage which arises when you’re directly pressing onto the camera’s shutter button. All that said, the WG2X is less waterproof than the former WG2 (probably due to the buttons) as there isn’t any information provided by FeiyuTech about its waterproofing whereas the WG2 has IP67 waterproofing (continually work for 10 minutes within 1m water depth). GoPro 3-5 /YI 4K / SJCAM /AEE/cameras / GoPro Hero 4/5 Session with similar size to GoPro. 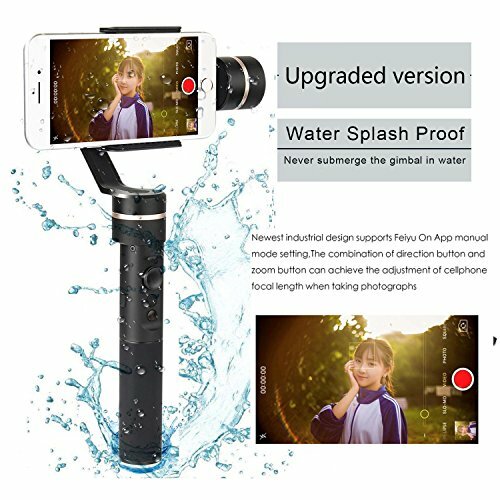 Although the SPG by Feiyu is made for smartphones, I still think it is a really good action cam gimbal as it’s splashproof and a very budget friendly gimbal. The SPG is actually an upgrade of the former SPG C, for which the main improvement is the implementation of its splashproof body. So even if you accidentally get it wet when you’re out travelling, you don’t have to worry about it suddenly breaking down as it’s already made for that. However, that does not mean you can submerge it in the water for a long period of time as that requires another level of waterproofness which the SPG does not have. Another improvement is the calibration method. The new SPG uses an adjustable arm to calibrate for different devices, which is more convenient than what the previous version’s, the SPG-C, use of counterweights. To mount your action camera, all you need to do is to slide on the EVA foam pads, which is included, onto the grasp and slide your action camera in. The SPG has a really smooth stabilization and the best part about it is the 360˚ rotation on the pan axis, which allows you to get a really wide range of shots without getting ‘locked up’. As for battery life, the SPG has one of the longest battery life of 8 hours and thus really useful for bringing onto trips and holidays. If that’s not enough, it also uses removable batteries instead of built-in batteries, thus giving you the option of swapping out for spare batteries. If you don’t like holding the gimbal while moving around, great news! 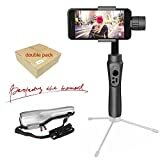 It has 2 tripod thread mounts, one on the back and the other on the side, so as to mount onto either your chest or backpack or even on your selfie stick! To top it off, it has a very well-built smartphone app to customise your gimbal settings such as motor control & strength, shooting modes and for updating firmware! Overall, the SPG is an awesome 3 axis gimbal for the buck that supports both smartphones and action camera and if you’re looking for an affordable and quick option, and you can’t go wrong with the SPG. Read more about what others have to say about the SPG here! Action Cams – GoPro 3-5 /YI 4K / SJCAM /AEE/cameras / GoPro Hero 4/5 Session with similar size to GoPro. The Rider M, which is the successor of Zhiyun Rider 2, is very similar to Feiyu WG2 as it’s wearable and hence easily mountable to wherever you want. Also, it is compatible only with action cams so you can’t use it with your smartphone. The Rider M also has the ability to be wirelessly controlled via the app or the bluetooth remote which is sold separately. Thus, if you are planning to mount it somewhere not very convenient, the wireless feature will come in handy. 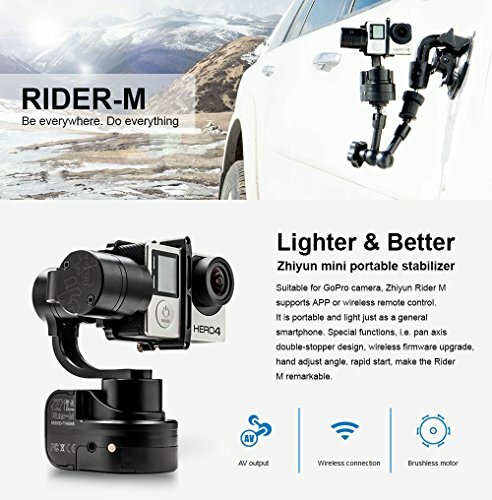 Using the app, Zhiyun Play, you’ll be able to wirelessly control, change motor speed, strength, etc and as far as I have tried, I find it to be one of the best, comparing to other gimbals’ app as it was very convenient and user-friendly. Furthermore, it also comes with an extra set of batteries which is perfect for bringing onto holidays or long trips, so you don’t have to constantly charge it up. Moreover, it has a whopping 640˚ pan axis (-320˚ to 320˚), which is the largest I have seen and honestly a little “overkill” but still nice to have when taking panoramic time-lapse or panning shots. Furthermore, the Rider M also has a 1 sec angle lock feature which allows you to manually adjust the camera to point it in a certain direction you want by turning and holding the position it for a second, which then the gimbal will lock in place. Overall, I found the Rider M to be very similar to the WG2, hence I made this quick comparison between Rider M and WG2 if you’re stuck in between. Action Cameras: Yi, Yi II 4K, SJCAM 4000 and 5000, EKEN H9, EKEN H8, EKEN H8 PRO, GitUp Git 2, GoPro Hero 3 & 4. For Hero Session, the adapter can be found here. For Hero 5 Black, the adapter can be found here. The previous model by FeiyuTech, the G5, was already a very impressive action camera gimbal with its wide rotation, durable and high-quality body while at the same time being splash proof. However, when the G6 was released, FeiyuTech really set the bar high for action camera handheld gimbals to the point that it’s top in my recommendations list. Similar to the WG2X, the G6 has a slanted body. Though it probably doesn’t seem much to you, I found it to make 2 significant differences. First, the screen was more visible, meaning you’ll have a better time using the camera, which was not the case on the G5 where I had to tilt the camera down (screen was partially blocked) in order to use it. Second, the arch body presents more flexibility in terms of shooting, compared to many other handheld gimbals in the market as the arm wouldn’t come in the way of your shot. The new connection system allows your GoPro to be directly connected to the gimbal, meaning you no longer have to use voice control or manually press the shutter button to get the shot rolling. All you have to do after connecting to the camera is hit the record button on the grip of the gimbal and you’re good to go! As far as I know, the newest FeiyuTech gimbals (G6 and WG2x) are the only ones that allow you to remotely control your GoPro like that. Because the gimbal can now connect to your GoPro, it also lets you do some quick adjustments such as the resolution and frame rate right from the gimbal! Other than that, it also displays other info such as stabilization modes, battery level, camera shooting modes and wireless connectivity. Another benefit of being able to directly connect to a GoPro is that it’s now possible to film motion time-lapse videos using the new autorotation mode where you can choose your start and end position. 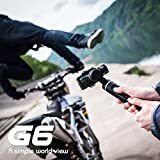 All in all, the G6 is undoubtedly the best gimbal for GoPro cams now due to its intrinsic compatibility all the while having a durable, long-lasting and splashproof body. ** If you’re considering a more compact or wearable option, have a look at the WG2X. The S1 is one of the flagship and costly gimbals but I feel the price truly reflects on the build quality and design of gimbal. Firstly, the gimbal uses a GoPro mount so it can be mounted anywhere a GoPro can be mounted, instead of the traditional tripod thread which most gimbals use to mount. 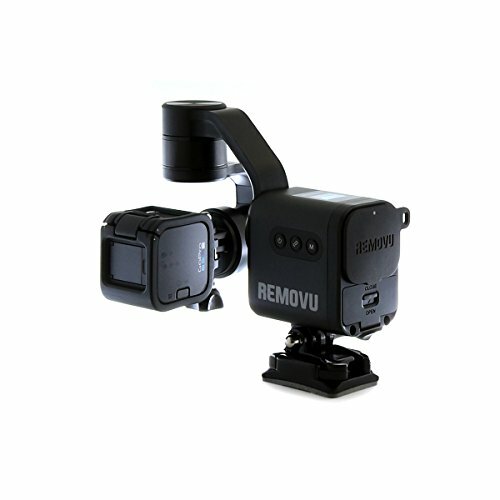 The Removu S1 is one of the only gimbals in the market that can function as both a wearable and handheld gimbal as it’s made up of 2 separate components, the actual gimbal and the handle, which is able to be used as a remote to control the gimbal or change shooting modes wirelessly (using Bluetooth) up to 10m, via the joystick on the handle. It also has 2 OLED displays to indicate the stabilization mode it is in (pan, lock and follow) and also the battery percentage left, which is nice to have to show how long you have left before it dies. Furthermore, as the motor and body are designed to be water-resistant, it is rainproof, which in other words mean you can splash water, bring it through the rain or snow, without having to worry about it getting damaged. On the other hand, a drawback of this gimbal is that the axis rotation is pretty tight and limited (292˚, 292˚, 70˚), when compared to other gimbals, so there may be some ‘dead angles’ when shooting with it. 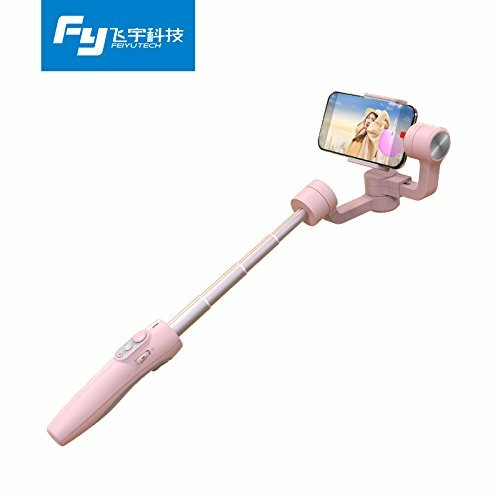 Although this is not made for action cameras, instead, smartphones, I’d still like to mention the Vimble 2, Feiyu’s newest gimbal released because of its unique feature, an integrated 18cm selfie stick. 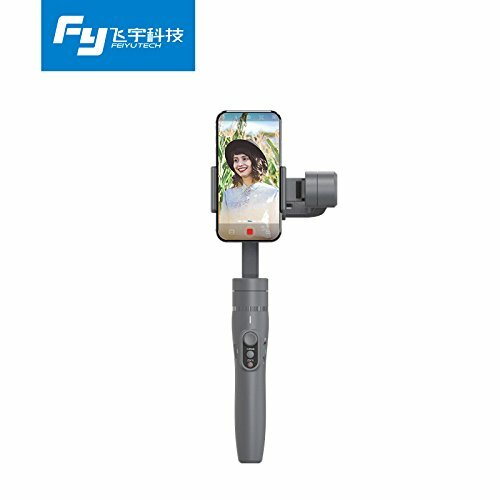 As we know, gimbals, specifically handheld, are still relatively short for daily purposes and that’s why Feiyu has decided to incorporate a selfie stick within it. Hence, if you use a selfie stick often for vlogging or for taking group selfies, this feature will definitely come in handy. And if you were wondering about the weight because of the extra built-in selfie stick, good news. Weighing merely at 428g, it’s not in any way heavier than other gimbals (most weighs about 400g+) so you don’t have to worry about having a sore arm after holding it for a long period of time. To top it off, the smartphone app, ViCool, which is used mainly to wirelessly control the gimbal’s motor speed and strength, is very easy and user-friendly. Also, if you’re using it with your phone, you have the option to enjoy other features such as object tracking and motion timelapse. 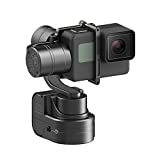 Though this is meant to be a smartphone gimbal, it still is able to mount action cameras but a caveat is that the screen will be blocked by the mount unless you decide to buy an additional adapter. 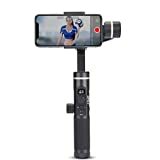 Overall, I think it’s a very well thought out gimbal and if you primarily plan to use a gimbal with a selfie stick, or want to have a choice between both your action cam and phone, the Vimble 2 might be the one for you. On the other hand, if you plan to use mostly for your action cam, the G5 or Removu S1 would be a better alternative. If you’re looking for a quick yet affordable option, the Smooth-Q is the way to go. Although the smooth-q lack features that its more expensive counterparts has, such as motion timelapse, selfie mode, etc, it does what it’s supposed to do, stabilise your videos. Also, as it’s a smartphone gimbal, you’ll need an additional adapter to fit your action cam. Powered by two 18650 batteries, with a total capacity of 3340mAh, it is able to last up to 12 hours of continuous use with 1 charge, which is honestly the longest I have seen on a gimbal and for that, it’s ideal for long trips and vacation. It gets even better with the live charging feature, which allows you to charge your device on the go using the gimbal’s battery, so you don’t have to worry about your action camera running out of battery while your gimbal remains close to fully charged. As this is a smartphone gimbal, you will need to use the adapter (comes together if bought here) and attach it to the gimbal. The most important part of this gimbal is truly the value for money you’re getting. For slightly more than $100, you can get yourself something that works beautifully as the stabilization isn’t in any way inferior to any other gimbal but in some cases, even superior. It is also able to rotate up to 320˚ in all 3 axis which is definitely better than average. All in all, the Smooth-Q is definitely one of the gimbals with the best value for money and if you don’t need the fancy features, the Smooth-Q would definitely be a good choice. Everything we’ve covered now works with a wide range of devices and is more of a “general fit”. Below we’ll be going over gimbals that work for a specific or niche range of action cameras. 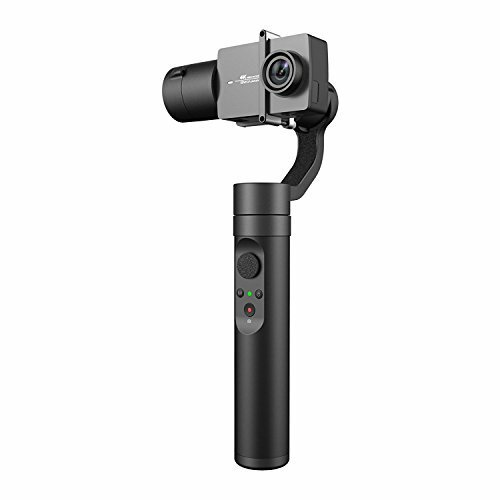 The new Yi action gimbal, the successor ofYi handheld gimbal, (Gimbal Only) is made for Yi action cameras, specifically Yi Lite, Yi 4K and Yi 4K+. The Yi Action gimbal fits and mounts on perfectly to these cameras as they have exactly the same form factor and dimensions. Once you have mounted and connected your action cam to the gimbal using Bluetooth, you will be able to control the shooting modes, start and stop recording, all wirelessly from the gimbal interface. Upon holding it, I could also immediately feel the lightweight body of it and sure enough, the specs sheet claims that it weighs 310g, which if you didn’t know, is one of the lightest gimbals out there. Furthermore, if you enjoy vlogging, there’s selfie mode made for that. What it does is it rotates 180˚ to point the camera backwards at you, with a single press. With another press, it rotates to point forward to where it was shooting before, all in a smooth and elegant manner. 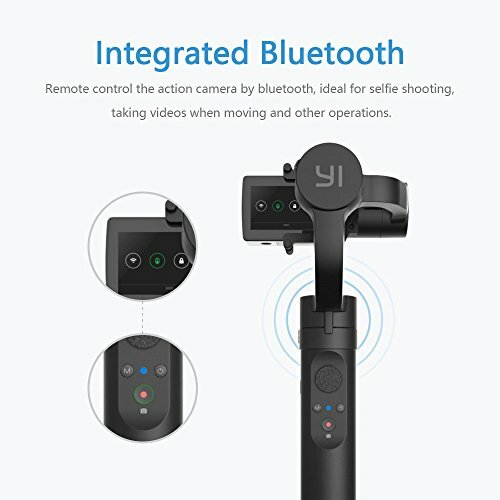 Oh and just as a heads up, if you were thinking of using it with other non Yi action cams, I would not recommend it as you wouldn’t be able to use the features (wireless Bluetooth control) exclusive to Yi action cams and that’s why you’ll be better off with many other cheaper gimbals out there. Having said that, if you own a Yi action cam, this would be a great addition to it as it makes it much convenient to control your Yi action cam. The Mijia gimbal works with Xiaomi’s new popular action camera, the Mijia 4K. This gimbal is way more niche as it only works with one camera for now. Maybe more in the future, if Mijia plans to release more action cameras that utilise the same body as the Mijia 4K. 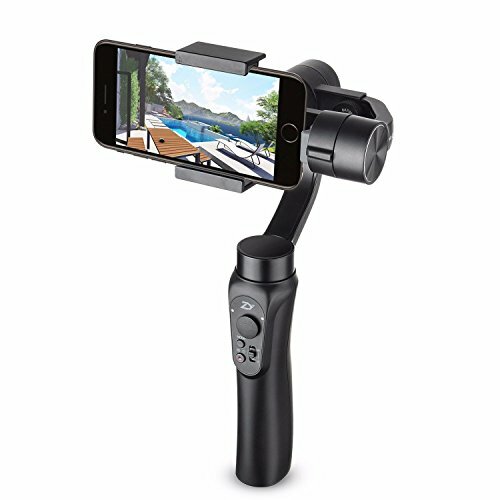 Upon using this gimbal with the Mijia 4K, it definitely stood out how compatible they were together as other than being able to control the camera wirelessly from the gimbal, you are also able to charge your Mijia 4K camera with a flick of a switch and adjust exposure and many other videos and photos settings, all from the gimbal. Furthermore, the aluminium alloy used also feels very rigid and well-built so you can expect the same or even better quality than that of the Mijia 4K. Moreover, similar to the Mijia 4K, it houses an extra large battery life and can be used up to 8 hours. What’s even better is the battery can be used to charge your Mijia camera, so you don’t end up with a dead action camera and an almost fully charged gimbal. 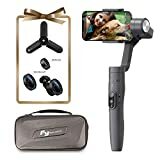 Overall, one of the best integration between gimbal and action cameras I have tested and if you own a Mijia camera, you should really get this gimbal as after using them for a long time, they feel like one. Read our full review on this awesome gimbal here! Waterproof/Splash-proof/Rainproof: Note that most gimbals that claim to be waterproof cannot be fully submerged under water. Compatibility + Adapters: Compatibility is especially important in gimbals so make sure the gimbal is compatible with your action cam, or if not, at least there’s an adapter made for it. Weight: The lighter the better as there will be less strain on your arms. Anything below 450g is good. Rotation: Degrees of rotation. The higher the better as the wider it can turn and hence you’ll have more flexibility when filming. Battery Life: Most have about 4-5 hours battery life, highest I have seen is 12 hours. Mounts: What are the mounts present? ¼” standard tripod mount is most common but some gimbals use GoPro mounts. 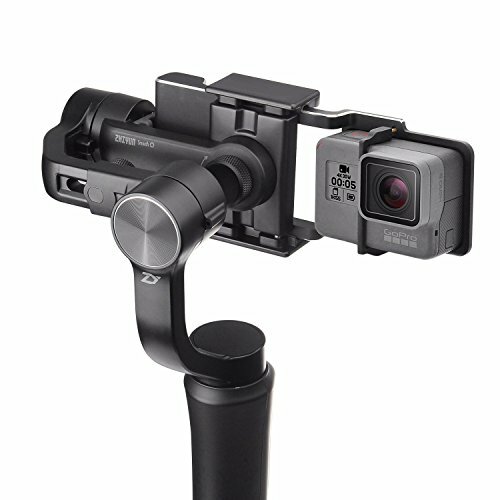 Gimbal Accessories: Any accessories that it comes with, such as tripods, adapters, etc? For smartphone gimbals, you’ll need an additional adapter most of the time to fit your action cam. Hi Matt’s Mom, the battery is for operating the gimbal as the gimbal isn’t mechanical and needs a bit of power to operate it. Also, for some gimbals with “live charging capability”, the gimbal is able to use the battery, like you said to charge it the Gopro up. Wow! What an amazing review on the variety of action camera’s and accessories for them. I’ve been wanting to buy a gimbal but with so many in the market to choose from, I didn’t want to waste my money. I know exactly which one I want now. Thanks for the detailed review! I like wearable gimbals more but it highly depends on your purpose of use. I would like to have a wearable gimble if I was doing cycling or diving. Woaaaaa, we’ve come a long way, they look pretty amazing and as you mentioned prices have dropped a lot. Now just need to buy a good smartphone or action cameras to go with. I think it was DJI who has launched this kind of accessory first, mostly for professional, so very expensive. 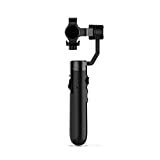 It’s cool to see nowadays we have a pretty large choice of gimbals at an affordable price. 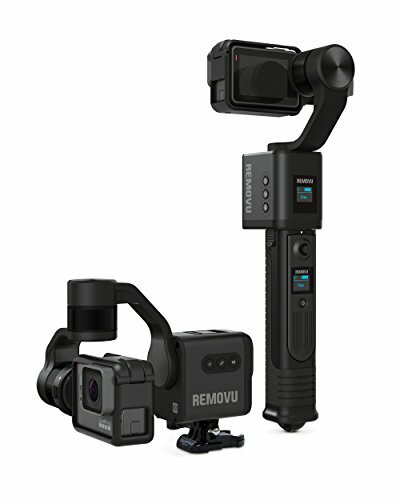 I’m more interested in a gimbal that can be both a wearable and handheld, however, the Removu S1 is too expensive and can’t be used with a smartphone. Note when I click on the Amazon link from your website, for the Removu S1, it said it can’t find the product. It directs me to Amazon France as I’m in France and looks like this product is not available in France. which one is best wearable gimbal for cycling? The best wearable gimbal for cycling would be the WG2 gimbal which can be mounted on your chest or on the handlebar due to it’s small compact size and rugged body. What should we choose for the cheap price of GoPro? And how much for a good one with cheap price?